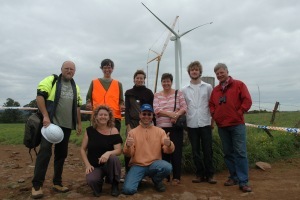 Backroad Connections provides consultancy and services on the planning and implementation of new technologies with a particular emphasis on community renewable energy. Tasmanian Renewable Energy Alliance: representing the solar industry in Tasmania and other distributed renewable energy projects. Valley Community Power: an investigation into the feasibility of urban based renewable energy projects based on the Waterworks Valley in Hobart. Save Solar Tasmania: working with Solar Citizens to advocate for fair treatment and reasonable feed-in tariff for solar PV in Tasmania. Previous projects and activities are described in the archive section.